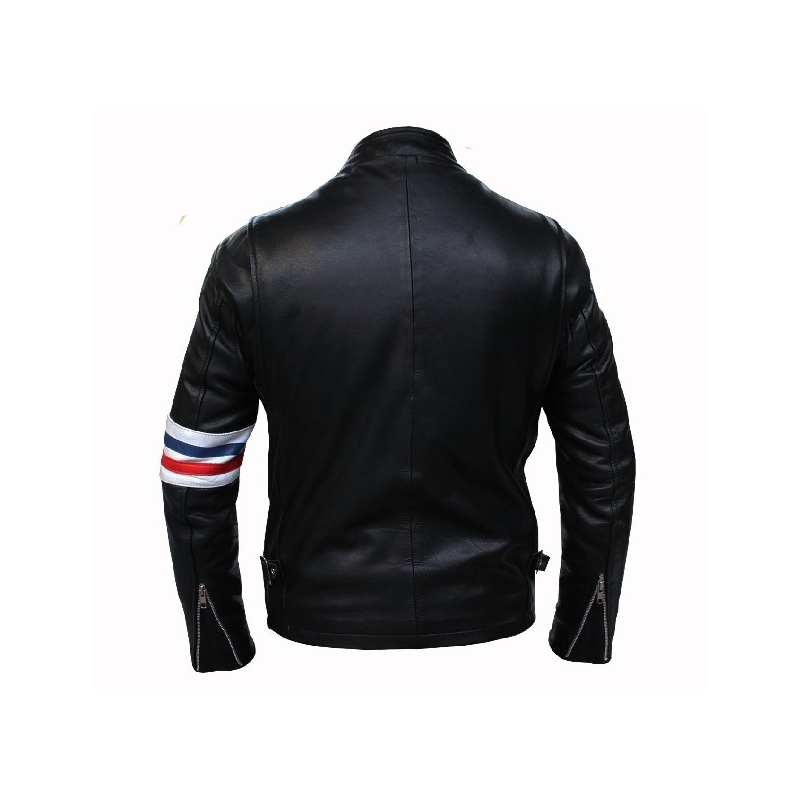 The Easy Rider Jacket is a replica of the leather jacket worn in the movie Easy Rider by Peter Fonda in 1969. Since then, this style has become one of the most popular leather jackets. Our jacket Easy Rider Jacket is unique as it is made from the highest quality soft leather, making it long lasting and fashionable. 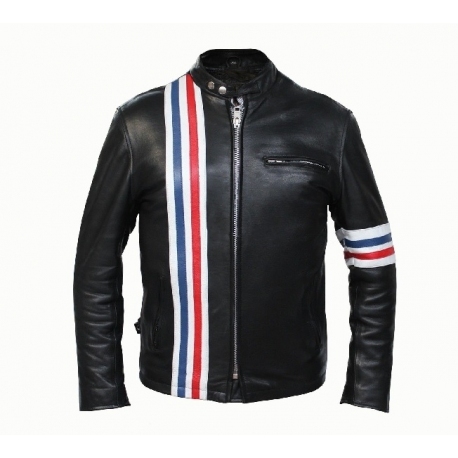 The Easy Rider Jacket has zippers on sleeves, a pocket inside, two lower pockets with a zip. 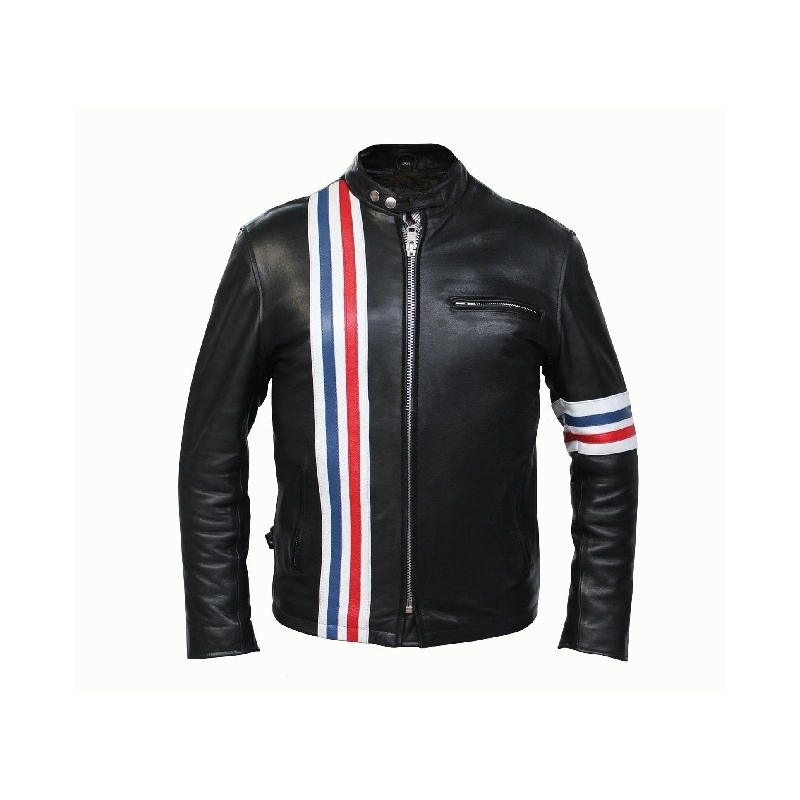 The white, blue and red striped design on the front, right side of the jacket and on the upper left sleeve will make you stand out from the crowd. This jacket doesn't have flag at the back. This jacket makes the best gift for anyone. Comes with pockets for armours on shoulders, elbows and back. Armours are included in price.